Please note: The excerpt is taken from the beginning of the work. When Great-aunt Aida started trying to feed me cat food and began having complete conversations with my Uncle Jimmy, who died before I was born, I started to worry. A few days later, I caught her trying to build a fire in the middle of the living room floor for her little brother, who died of pneumonia over eighty years ago. I knew then it was time to get help. She’d been talking to herself as long as I could remember, and calling me Sarah, which was my mother’s name, for a few months now. But she seemed fine enough. I mean, we all get confused a little every now and then, and Great-aunt Aida, being ninety-eight years old, was entitled to put the clean dishes in the refrigerator if that’s where she wanted them. Who was I to correct her? Although, it did make living with her very interesting at times. A few days before the fire incident I found her holding an old doll and crying. It was one of those old porcelain dolls, the yellow hair stiff and matted. The green silk dress was beautiful once, probably. Now it was dirty and full of moth holes. It even looked singed in a few places. But there was Great-aunt Aida, sitting at the kitchen table, clutching the doll to her chest and sobbing to fill a river. She insisted on holding a prayer vigil over the doll all night in the front living room. The next day, we buried the doll in the back yard. Only then did Great-aunt Aida finally rest. It’s an awesome piece! The flow is fabulous, love the diciton, and the immediate disturbance in the protagonist’s life immedientaly draws us in. That’s all I’ve got to say. Again, awesomly written XD The prose is fantastic! Loved the start of this piece. I am immediately drawn into the story and intrigued by the characters. Great job! Wow. This is a great piece! I enjoyed the narrator’s voice, and reading about what’s going on in her life. There are overtones of death and the past and loss and grief – it makes me wonder where the story is going to go next. It is said that the hook (which draws the reader into the story and gives a clue as to what the story is going to be about) should happen on the first page ideally, so as long as it comes shortly after these three paragraphs, then I think it’s a very strong opening. I agree with Glitch. This is awesome reading, but it is all narration/exposition. There isn’t anything happening now. Perhaps you could show Aunt Ida holding the doll and crying and work in the other crazy things as the scene unfolds with the doll and finally burying it. I noticed how well written the sentences were, how smoothly the paragraphs read, and variation in sentence size contributed to the overall ease of reading. Well done. I love it and it reads so well and I do want to know more. Maybe break up the paragraphs with some dialogue or description ? Either way , it still works. I loved both characters and it is a subject that a lot of people will identify with. The tone , I found to be, humorous and empathetic. I think the author got a lot of fun’ playing ‘ with this one. I thought this was some very nice story-telling. I am not sure how your plot pan out but if you are writing a full length novel you may want to revise the last two lines. It is too much of a clincher. What it does is make the writing read like a short story–flash fiction almost–by “finishing it off”. This kills the tension. You need to keep your reader glued and hanging on. Just changing the ending slightly would do the trick: “The next day, we buried the doll in the back yard. Great Aunt Aida died peacefully that night and that’s when it all…. (use a hook to draw the reader in to the main body of your story). Just my two cents worth. Great job and good luck! This is a strong excerpt. The images are strongly drawn and I was immediately swept up, feeling the tension of the character, his or her confusion, and the sense of impending doom unless the character can do something about it. I was left wanting more from this anonymous author. Oh – now reading the piece again, I agree with you Deborah. Dear Anonymous Writer please ignore my comment (since I am unable to delete/edit it !!) This is really good stuff. Thanks for sharing! The author did a wonderful job of capturing the readers attention early on in this story. I found it to be colorful story-telling and truly enjoyed it rat off the bat. I would certainly be interested to read the entire book or story. I am not sure if it is a short story or part of a novel. it’s got good “bones”. Just wondering if maybe you could draw the reader into the story a bit more by presenting this in a conversational format. As in the main character is having a conversation over the telephone with a friend ‘back home’. Yes, I liked it too because it was well written and I loved the protagonist’s attitude toward the decline in Aunt Aida’s mental faculties. The only thing I would fault you on is that I didn’t get any sense of impending suspense as the lead in to the article suggested. But beautiful writing and keep at it. For me the flow was a little off. The second paragraph doesn’t feel like it belongs with the other two. It disrupts the story for me. I would actually switch paragraph 2 with 1. When I read it that way I feel more immediately drawn into the story. It even has the question and it makes me feel like a more active participant. I find myself more involved when you start describing the situation. It is great! With the first sentence of the first paragraph the author successfully introduces the theme: the fast mental deterioration of her aging great-aunt, using simple, strong and clear language.The second and third paragraphs strengthen that idea. The holding of the old doll, the sobbing, the burial and finally the ‘resting’ of Great aunt Aida in the last part of the third paragraph indicates the underlying cause for the condition of the 98 year old woman: the grief over her baby brother with which she could not come to terms. I am very curious to know what happens next. Loved the flow of it as is. Loved the voice. Well written and easy to read. Considering I don’t normally read suspense (usually i steer clear from the genre) – this bit grabbed my attention with the first line and enticed me to keep reading. True that the last word “rest” could mean ‘relax / return to normal’ or it could mean ‘rest in peace’ but it makes me wonder about the story; my mind is running a mile per minute trying to figure out what happens next. Many questions arise and I am left needing to read the rest of it. Three quick well written paragraphs and I am drawn in – well done. Good luck to you! I really like the piece. It has a nice flow, is simple yet suspenseful. Aunt Aida seems like someone who is keeping a secret, and though she is seemingly helpless at her age, there is the implication of there being something particularly dangerous about her. Not just in her likelihood for leave the tea kettle boiling or to go for a stroll unattended and without the front door wide open. But in the fact that she has managed to keep some hideous secret for so long. 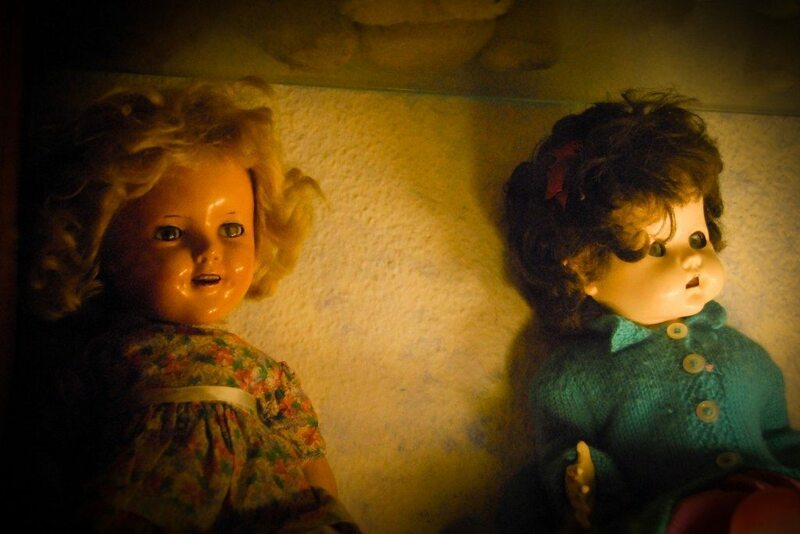 The usage of the baby doll eludes to the secret being very very old. And how many monsters could manage to fester inside something like that. An elaborative effort but not in an overbearing way–this exerpt exudes with confidence of a prolific writer. I enjoyed how well you showcased this passage as a body of work with all of its connective tissues being linked to one another (i.e., the past with the present, doll with the grandmother, and daughter with her mother). Grandmother was depicted as a person with restless mind, despite an inability to acheive mental clarity–her mind never wavered in its pursuit of happiness. Alas, this was achieved through a symbolic gesture (e.g., a prayer vigil for the doll). Now, all ghosts from the past and present have be silenced; oh, but the for the future–the future ghosts will be for the granddaughter to decide… and (ultimately) silence.